G4L Will Celebrate With A Signing Party & Performance At Guitar Center West LA with KROQ and Producer Johnny K February 16th. G4L Records, the label founded by West Coast Entrepreneur and Marketer Markus Muller-Stach and whose A&R is headed up by Candlebox Frontman Kevin Martin, has announced the signing of its second artist – Alt Rockers State To State. Hailed as the Los Angeles flag bearers of atmospheric alternative rock, a landscape forged by such bands as Queens of the Stone Age, Radiohead and Interpol, State To State has been a staple on the Hollywood music scene since 2014 with their acclaimed self-released LP and EP. 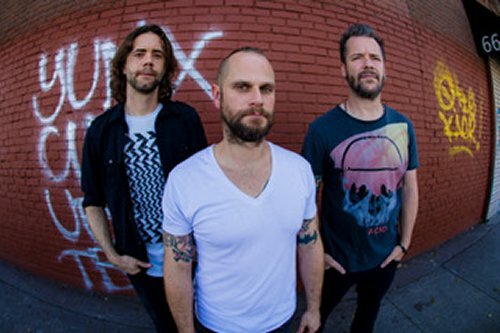 They’ve routinely enjoyed sold out shows at the Troubadour and The Roxy as well as residencies at The Hotel Café, The Viper Room and others, which quickly led to dates on last year’s Warped Tour. The band also earned the support of legendary Los Angeles rock station KROQ 106.7 FM, who have featured “The Shifter” and “Get Away” on its “Locals Only Countdown with Kat Corbett,” where the songs spent a collective 22 weeks in the top five and were voted #1 a total of seven weeks. This local airplay has even led the way for national and international radio play throughout the U.S. and even breaking the Top 40 in Lima, Peru. State to State are heading to the Las Vegas Music Summit on January 31 to perform in a featured artist showcase and will play the Fremont Country Club After-Party with Franky Perez/FXP on Feb 1 starting at 10 PM. To celebrate the deal, State To State will be back in LA on February 16 for a VIP signing party and performance at Guitar Center W. LA on Pico Blvd. hosted by “KROQ Locals”. The “G4L Records KROQ Locals Guitar Center W. LA Pico Signing Party & Show Featuring State To State” event will kick off at 3 PM PT and will feature: a live performance by State By State, a meet-and-greet with the band and legendary producer Johnny K, giveaways, special appearances by KROQ and a special one day only G4L in store discount on top of a President’s Day Sale. Following the event, the band has plans to return to the studio with Grammy-Nominated Producer-Of -The- Year Johnny K (Disturbed, Megadeth, Staind, 3 Doors Down, Plain White T’s), and hit the road in 2019 with select dates with Candlebox as well as festival appearances and radio events. “Growing up in Southern California, KROQ has always been the #1 station for cool and cutting-edge alt rock and rock bands. And to sign a KROQ band to my label and launch them with KROQ’s support, I couldn’t be more stoked. It’s very surreal,” said Markus Muller-Stach, G4L Records, founder & CEO. For more information about State To State, visit www.statetostateband.com and G4L Records, www.g4lrecords.com.